Feelings and emotions are transient—even the darkest and most painful days don’t last forever. But when you’re in the throes of grief and trauma, it can be hard to imagine that there are better days in your future. Sheryl Sandberg knows firsthand what it feels like to face grief. The Facebook Chief Operating Officer and her husband, Dave Goldberg, were vacationing and celebrating the 50th birthday of a friend in 2015 when Goldberg died unexpectedly. Sandberg journaled through her darkest days, the days when she cried herself to sleep every night and worried that she wouldn’t be able to raise her children. She used her journal entries to create a book, Option B: Facing Adversity, Building Resilience, and Finding Joy, where she shares what worked for her in building resilience and overcoming grief and despair. “When one door of happiness closes, another opens; but often we look so long at the closed door that we do not see the one which has been opened for us,” Sandberg writes. Write it down. Susan Bernstein, licensed social worker and marriage and family therapist with expertise in domestic violence, says journaling can be an effective technique in managing grief, particularly for survivors of domestic violence. “Journaling can help you remind yourself of who you are and where you came from,” she says. Practice rescue breathing. When you’re overwhelmed with strong emotions, feel your body as you breathe, and remind yourself that you are in control. Some apps and fitness trackers can guide you through a few minutes of breathing exercises that can help calm overwhelming emotions. Take care of the basics. It’s harder to heal if you are hungry, thirsty, or tired.Good nutrition, hydration, and sleep habits are all part of replenishing yourself. Understand that strong emotions don’t mean you’re crazy. You might have symptoms of PTSD such as exaggerated responses, severe mood swings, hypervigilance and insomnia. These feelings are common and treatable. Be patient with yourself and practice self-compassion. Domestic violence almost always worsens gradually. It takes a long time before a survivor leaves for good or law enforcement steps in. See yourself as someone who has withstood a lot and deserves help and time to heal. Remember that traumatic events don’t define you. “When you have been shamed, demoralized and broken down it takes a while to build yourself back up. But you survived, and you can change your mindset from one of victim to one of survivor,” Bernstein says. Understand that recovery happens in stages. You’ll face anger, depression, bargaining and all of the stages of grief. When you start to forgive yourself and allow yourself to accept that the past is over, you can grow and build resiliency. Look for support. Whether you've already left your abuser, are still with your abuser or were abused long ago, consider reaching out to a trained domestic violence advocate at any point to find nonjudgmental support for how you're feeling and what you're going through. Processing your emotions can help you through the healing process. Find a therapist. Therapy can help you positively reframe the grief process and rekindle your identity. Therapy can also help with PTSD, depression, and anxiety, which are common in domestic violence survivors. Start rebuilding your identity. Who are you to yourself, in your family, and in your community? You may find you have a role to play in a support group or among other survivors in a shelter. Imagine where you’ll be in the future. “A lot of times survivors were not given permission to imagine what they wanted to do, let alone to do it,” Bernstein says. 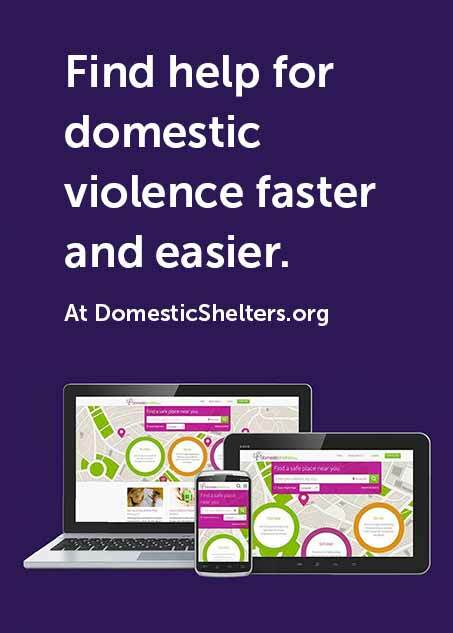 “In domestic violence, your cares were always dismissed. What you wanted, who you were, was always diminished, belittled, and ignored.” You may find yourself looking beyond the moment for the first time in a long time, and you don’t know what your future looks like. Identify people, places and opportunities that can help you.Are there classes you’ve always wanted to take? Do you like reading or writing? What would you like to expose yourself to that can help you replenish? “Now you can grow into the individual you can become without the obstacles of violence and ugliness,” Bernstein says. Watch this short video, where Sandberg shares her thoughts on adversity, resilience, and Option B.